( summarily translated from German ) According to legendary investor Marc Faber , we already live in a financial economy in which the debt and capital markets exceed the value of the real economy by far . And that's befeuere the formation of bubbles. Bursts it the next time , then this is the capitalist economic system as we know it, shaken bringen.Die numbers speak for themselves: In 1980, the market capitalization of the U.S. stock market was less than 40 percent of gross domestic product ( GDP). The debt , measured in credit markets , was about 130 percent of GDP. Today these figures are higher , according to Marc Faber many times : The market capitalization has reached over 100 percent of GDP , the debt about 300 percent. This is consistent with figures from the consulting firm McKinsey. After calculation, the global debt still stood in 2010 at 158 ​​trillion. In 2012, there were already $ 200 trillion - and rising. This makes for a worldwide economic power of slightly more than $ 71 trillion about three times . It is a powder keg on which we sit . 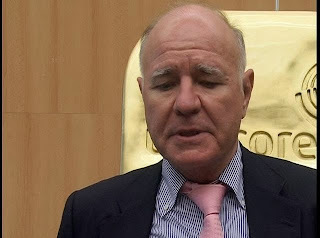 In a normal real economy , said Marc Faber sets now in a current on the website "The Daily Reckoning " published contribution that the debt and equity markets are small - and there in order to steer the accumulated capital into investments. Net interest acts as a regulator . That is, there are only those made ​​with the capital investment that is truly an attractive return , so a higher yield than fixed-income investments bring . However, it can also come here to the formation of speculative bubbles , as Faber points out . They are there but small, focused on little damage. On the contrary, you might even be necessary because they enabled quantum leaps in progress and can only increase the production capacity. Such a bubble bursts , then prices will fall , and so more consumers can benefit from the development . Examples give it enough : Whether the railroad boom in the twenties of the last century , the Internet boom in the late nineties or real estate bubbles. If there broke prices after the bursting of a speculative bubble , it benefited from broad sections of the population . I wonder who is at the end: the masters at Washington who managed to circumvent Doom or Dr. Doom himself, who was wrong in his assesment that all others are. Wonder away... But history speaks for Marc Faber. You speak for the manipulators in Washington.